Think of the Puppies and Kittens...NOT! The Crew and myself are big animal lovers. We both entered college with plans to become veterinarians. We both are interested in wildlife and domestic animal issues. We are both charter members of PETA (People for the Eating of Tasty Animals). That being said, the largest animal "protection" organization in the country is one of the biggest scams ever. The Humane Society of the United States (HSUS) is nothing but a radical animal rights lobbying organization. They do almost nothing for real animals and local animal shelters. Don't believe me? 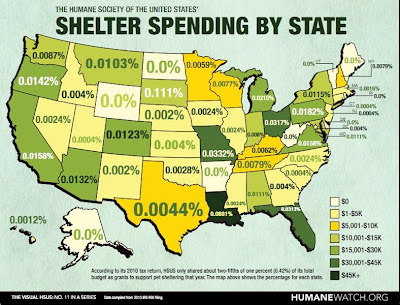 Check out the graphic below showing the amount of money that HSUS gave to local shelter according to their 2010 tax returns. 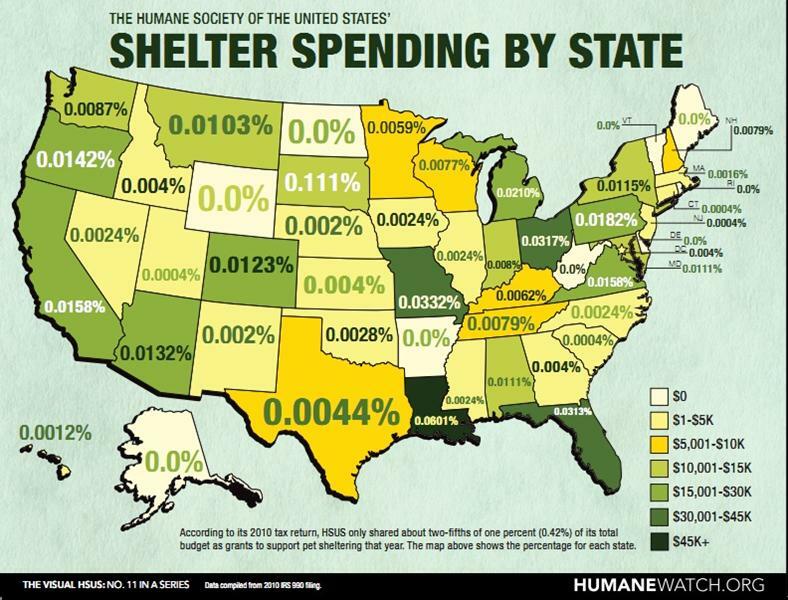 Less than one-half of one percent of their annual budget went to support local shelters. "In a little-reported ruling by a judge in the District of Columbia earlier this month, the HSUS is going to court to face charges under RICO statues on racketeering, obstruction of justice, malicious prosecution and other charges for a lawsuit it brought and lost against Ringling Brothers Circus' parent company Feld Entertainment, Inc."
It is possible that this could bankrupt HSUS and potentially send some their top executives to prison. That seems about right for an organization that has fleeced countless good-hearted people who thought they were helping animals in local shelters. 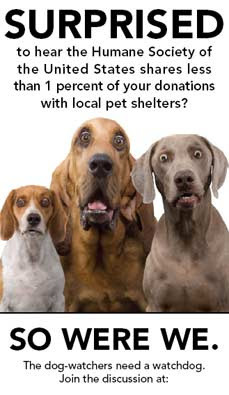 The moral of this story is: If you want to help local shelters, donate money directly to the shelter. Let's get my nomination for this week's Hollywood HoS in first......The usually level-headed and erudite Cher has gone on quite a Twitter rant the last few days. Calling out Mitt Romney as a "spineless racist", a "cretin", and referring to Sarah Palin and Michele Bachman as " T-baggies", Cher is yet another example of the remarkable tolerance of the left. Read the whole sordid mess here at twitchy.com. I'd cut and paste into this space for you, but it makes me throw up a little in my mouth. You'd think the Olympics would be the last bastion of achievement, the last place we'd have to worry about the namby-pamby fairness police. You'd be wrong. In a stunning miscarriage of justice, USA gymnast Jordyn Wieber will not compete in the women's all-around final. Why? Because the American team is too good. A new Olympic rule states that no more than 2 gymnasts from each country can compete in the all-around final. Wieber, the reigning all-around world champion, qualified third in the point standings yesterday. 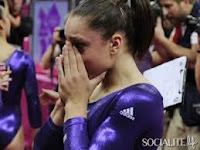 However, because Americans Aly Reisman and Gabbie Douglas finsihed 1 and 2, Wieber did not make the all-around final. That event is supposed to be a competition between the top 24 gymnasts in the Olympics, but 22 of those who compete will have finished behind Wieber in qualifying. Pathetic. 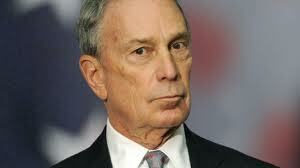 NYC Michael "Big Gulp" Bloomberg has his beady little eyes set on baby formula now. In a bizarre example of true "cradle to grave" governmental interventionism, Bloomberg has decreed that baby formula will be kept under lock and key in hospitals, and not offered to new mothers without some sort of brow-beating by a governmental lackey. Everybody knows breast-feeding is ideal for new moms and babies, but hey, what about that girl in high school who was so skimpy up top you couldn't even get a real.....but I digress. 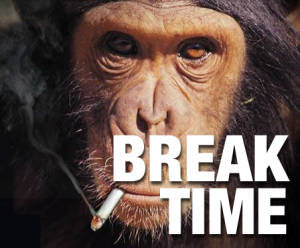 The good news is that Sahib will have a detailed analysis of Mad Mike's latest bit of idiocy later today, stay tuned! I bet you are having more fun this summer than Wallace Weatherholt. The 63 year old Florida man took a family out on his airboat for a tour on June 12th. He dangled a fish in the water to attract an alligator (yeah, I know). A 9 footer took the fish, and Wallace's hand. To add insult to gruesome injury, Florida is charging Weatherholt with "unlawful feeding of an alligator". We all would have been better off if Wallace had dangled Cher over the side of his boat. Of course if he had, the state would probably be charging him with "unlawful poisoning of an alligator". Hi, this is Sahib. I just had to add a blurb about the Obama Olympic kiss controversy. Apparently, the first couple were on the kiss camera at a pre-Olympic basketball game in Washington and the first lady rebuffed BHO. This was what the White House had to say, "spokesman Josh Earnest says the couple didn't realize it was the "Kiss Cam" watching them. He says they found this out after, when their daughters told them." 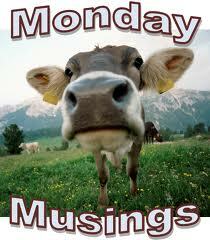 Of course, the second time when Moochelle knew the camera was on them, she was very receptive. Question: How do you tell if a girl in a bikini is from Texas? Devoted readers of SACSTW know I have tired of people comparing people they don't like to Nazis, but this group has been the target of my ire for years. Nanny Bloomberg whose central theme in life is that he knows better than you and will use his power in any way he can to coerce or force you to conform to behavior HE feels is best for you, has decided that all women should breast feed their babies. "Starting Sept. 3, the city will keep tabs on the number of bottles that participating hospitals stock and use — the most restrictive pro-breast-milk program in the nation. Under the city Health Department’s voluntary Latch On NYC initiative, 27 of the city’s 40 hospitals have also agreed to give up swag bags sporting formula-company logos, toss out formula-branded tchotchkes like lanyards and mugs, and document a medical reason for every bottle that a newborn receives." That sounds reasonable. They just want to "educate" the stupid women who do not want to breast feed. Right? "With each bottle a mother requests and receives, she’ll also get a talking-to. Staffers will explain why she should offer the breast instead." Read that quote again. "With each bottle a mother requests" Say a mom and her new baby stay a day and a half in the hospital. That's 36 hours. Say the baby is fed every 2.5 hours. That translates into 14 "educational" sessions for a new mother who has just given birth. That's not education. That's harassment. A woman I know tried and had difficulty breast feeding her first child and decided to use formula instead. The breast feeding "educators" or as I call them Nazis made her feel like a child abuser and unfit mother. When her second child was born, the husband let the nurses know in no uncertain terms were these "educators" to go near his wife. This was an intelligent woman who knew the potential benefits of breast feeding, but made an educated decision to feed her children formula. She's the mother and it was her choice. Now some women may not know about the potential benefits of breast feeding, so educating them is not a bad thing. Harassing a woman who has made an educated decision to not breast feed IS A BAD THING! Besides, I thought that it was a woman's right to choose what to do with her body. Right? I guess that just applies for abortions. Kristen Stewart has taken top billing in two categories recently, unseating the same woman for both. She is now the highest paid actress in Hollywood and the most famous home-wrecker. Titles she wrestled away from Angelina Jolie. Of course, when Angelina stole Brad from Jen she wasn't co-starring in a movie with her, and Brad and Jen didn't have two small children, but these are minor details. I'm sure as she matures, Ms. Stewart will chose the families she seeks to destroy with greater consideration. The SACSTW staff psychologist says that recent studies show the chemicals present in the brain at the start of a new relationship interfere with the critical thinking process and the making of rational decisions, or "people lose their minds". Not that it ever seemed that Ms. Stewart had much of a mind to lose. 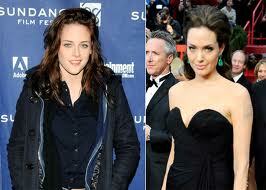 What I really want to see is Kristen Stewart, Angelina Jolie, and Brad Pitt all star in the same movie. People magazine editors would die from euphoria. All Together Now Class.... A Semi-Automatic Is Not A Machine Gun! Is there any topic that brings out misinformation more overtly than firearms? Me thinks not. After Aurora, firearms and the Second Amendment have really taken a beating in the national media. Even usually factual Bill O'Reilly stooped to idiotic blather about people buying machine guns, semi-automatics, and other "heavy weapons" without the feds being any the wiser. To echo one of Rush Limbaugh's favorite sayings, words mean things. Nowhere do words become more misapplied than when it comes to guns. I have consulted the SACSTW chief armorer, and he would like to clear up a few of the common misconceptions. Semi-Automatic: A semi-automatic firearm is one that can fire, extract, and reload one round with each pull of the trigger until the ammunition is exhausted. If you pull the trigger on a semi-automatic firearm and keep it depressed, the gun only fires one round. The trigger must be released to "reset" before another round can be fired. Automatic: An automatic firearm is one that will continue firing, extracting, and reloading rounds as long as the trigger is depressed, until exhausting the magazine. Assault Rifle: By definition, an assault rifle is a selective fire rifle with a detachable magazine, usually used as the primary weapon for modern infantry. "Selective fire" means the rifle operator can choose between full automatic fire and semi-automatic functioning. A semi-automatic AR-15 like the one used in Aurora is no more an assault rifle than the .22 rifle your granddad squirrel hunts with is. Incidentally, not to confuse the anti-gunners with more facts, the "AR" in AR-15 stands for Armalite Rifle, not Assault Rifle. Clip: When it comes to firearms, a clip is a device that holds multiple rounds of ammunition together in order to facilitate the process of inserting them into a magazine. Magazine: A magazine is the device that contains ammunition and feeds it into a gun's action to be fired. A magazine can be either a permanent fixture of the gun's structure or detachable. A gun fires rounds of ammunition from a magazine NOT from a clip. "Magazine" and "clip" ARE NOT synonymous (that means the same you KCMO grads), and the use of the word "clip" instead of "magazine" is the best indicator that the speaker is not knowledgeable about firearms. Want some more definitions of firearms terms? Check out the great glossary at armsvault.com. Ok, Ok, everyone can just pipe down now on gun control! 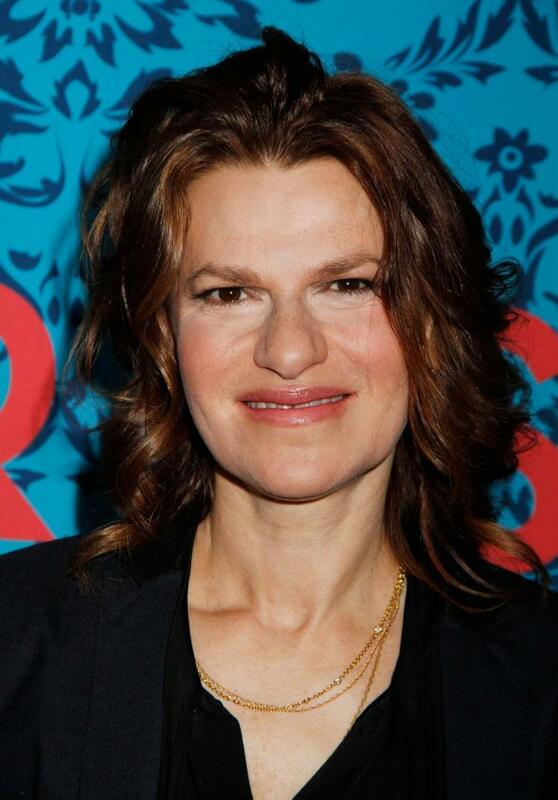 One of the great thinkers of our time, Sandra Bernhard, has issued her proclamation via Twitter. Doesn't that photo just exude sagacity and erudition? watching #democracynow big discussion about gun control and more it's time to stand up to the gun lobby and reinstate gun control now! Read the story here at twitchy.com. Sadly, as remarkable as Ms. Bernhard's ignorance is, it is not unique. Even SACSTW favorite Bill O'Reilly fell into the gun controllers trap on his show Tuesday evening. Just a few problems with this. 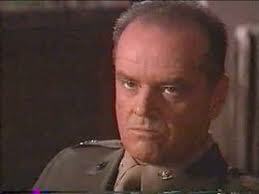 First Bill starts ranting about the availability of "heavy" weapons such as "mortars, howitzers, and machine guns". Although it comes as news to Bill and Sandra, those weapons ARE regulated by the National Firearms Act (NFA) of 1934 and Title II of the Gun Control Act of 1968. An American most certainly CAN NOT buy a machine gun without the federal government, specifically the Bureau of Alcohol, Tobacco, Firearms, and Explosives (BATFE) knowing about it. Purchasing such a weapon requires an extensive background check including phototgraph and fingerprints, a $200 federal tax stamp (per purchase), BATFE registration, and a signature from the Sheriff or Chief of Police in the locality of the applicant. Even moving a properly licensed and registered NFA weapon across state lines requires prior written permission from the BATFE. Of course, those gun control laws assume the purchaser of the weapon is predisposed to follow the law. That presumption falls a little short when we are talking about most violent criminals, a fact that gun control nuts refuse to acknowledge. O'Reilly's assertion that you can buy any gun you want at a gun show without reporting of any kind is simply ludicrous and inaccurate. Bill goes on to wildly exaggerate the amount of ammo the Aurora shooter had stockpiled, claiming he had purchased "60,000 rounds" on the internet. The actual number is 6,000,. but hey, what's a little factor of 10 between friends? Then all of a sudden, O'Reilly describes "semi-automatics" and "ammunition" as heavy weaponry. Pathetic. 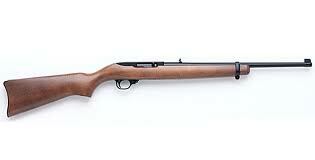 Semi-automatic is a phrase that describes many if not most firearms sold in the United States. Tomorrow we will take a closer look at the definitions of semi-automatic and automatic when it comes to firearms. Who knows, maybe Bill will read it. As a Factor fan, I was deeply disappointed with Bill's level of misinformation on this subject. C'mon Factor, you can do better! Why Did the Chicken Cross the Gays? Add Ramen Noodle Emanuel to the list of liberal mayors wanting to ban Chick-fil-a from opening restaurants in his "fair" city. Dan Cathy, the president of Chick-fil-a had the audacity in an interview to say that his company is unapologetically in favor of traditional marriage. Unsurprisingly, this has the liberal and GLBT special interest groups with their undies in a very tight knot. Interestingly, the obligatory calls for a boycott (which is well within their rights as consumers) is not enough for some. No they need government officials using governmental power to bar a private business from opening because of religious opinions held by the business owners with which they disagree. Now last time I was at Chick-fil-a, I wasn't required to kiss my wife to prove that I was heterosexual prior to purchasing a sandwich, so I'm not sure what grounds libs have for claiming discriminatory practices. What I really hope is that Chicago and Boston are successful in barring Chick-fil-a in opening in their cities. I would love to see the Supreme Court get a hold of this one! That is, as long as Chief Justice Roberts is able to kick that meth addiction before the case reaches him. Morgan and Bloomberg- Dumb and Dumber Redux? In the wake of the Aurora movie theater shooting, the anti-gun zealots are ramping up the attacks on the Second Amendment, and anyone who would dare want to protect themselves and their loved ones. New York City Mayor Michael "Big Gulp" Bloomberg took the idiocy to stratospheric heights today on CNN with Piers Morgan. Watch the video below, but for the love of Pete, sit down and stop eating before you watch.. There is so much inanity packed into those 90 seconds that I almost don't know where to start. First we have Piers Morgan, with his vast knowledge of the American collective psyche, bemoaning the speed with which the American public "goes back to their normal lives" after a heinous crime like Aurora. His knickers are in a knot because he just can't understand why we don't demand stricter gun-control laws. Uh, Piers. Here's why....we don't want stricter gun-control laws. Stricter gun-control laws won't stop maniacs, and will only serve to make the job of self-defense harder for the typical American family. Then there's this little thing called the United States Constitution. Even a Tory like you should be able to get your cerebrum around "the right of the people to keep and bear arms shall not be infringed". 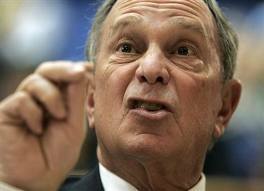 The ever cogent Mayor Bloomberg then looks Piers in the eye and says "I'll go one step further...". Translation: I'll see your gun confiscation outrage, and raise you utter anarchy"
Bloomberg thinks the solution to violent crime is for police officers across the country to "stand up collectively and say we're going to go on strike, we're not going to protect you unless you, the public, through your legislature, do what's required to keep us safe". For the mayor of our largest city to suggest that police officers walk off the job is unbelievably irresponsible. Sadly, it probably doesn't even raise an eyebrow for long-time Bloomberg observers. The real problem is very few people in our country really understand the job of a police department. Police agencies ARE NOT tasked with protecting individual citizens. Their responsibility is to enforce the laws of the community, investigate crimes, and locate/arrest violators. Providing protection to each individual citizen is simply not in the job description. 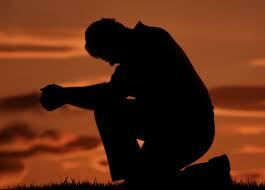 You, and only you, can protect yourself and your loved ones. 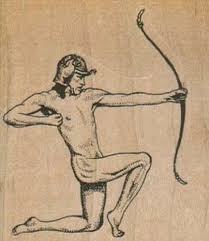 "Naked Archer Subdued By Kansas City Police!" When I saw that headline on the Kansas City Star's website last week, my first thought was hey, I didn't know Sahib was in town! Of course then I remembered that when Sahib cavorts unclothed with medieval weapons, he generally prefers the scimitar. After an hour or so the man came outside, at which point he was summarily speared (Tasered actually) and taken into custody. I have talked a lot about evil and its presence within our society over the last few days. Evil is certainly out there folks, but so is crazy. Be careful. 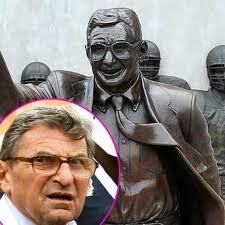 Penn State officials had Joe Paterno's stature removed from outside their football stadium over the weekend. According to university president Rodney Erickson, the statue had "become a source of division and an obstacle to healing in our University and beyond". My advice to the Paterno apologists that are upset with Erickson's decision.....just turn your head and pretend it's not happening. A 14 year old boy used his father's handgun to protect himself and his 3 siblings from an armed intruder Friday afternoon at their Phoenix home. The teenager and his young siblings were at home by themselves when a woman rang their doorbell. Not recognizing the woman, the 14 year old refused to open the door. When someone started bashing the door down shortly thereafter, the boy sent the other children upstairs, and retrieved the gun from his parent's bedroom. An armed man broke through the door and aimed at the youngster. The teen shot the intruder, wounding him critically. I wonder what anti-gun crusader Michael Bloomberg thinks of this young man's heroic actions? This incident is one more affirmation of my theory on armed criminals.....when a bad guy with a gun wants to commit crimes, generally the only thing that will deter him is a good guy with a gun. New York schoolteacher Lissete Bamenga is facing 2 counts of first degree murder after "allegedly" killing her 2 young children by forcing them to drink windshield de-icing fluid. Russian mother Galina Ryabkova "allegedly" murdered her two sons, ages 4 and 7, by throwing them off the 15th floor balcony of their Moscow apartment building recently. Shall we ban multi-story buildings and windshield washer fluid? The take-home message is that deranged, evil people will commit disturbing and evil crimes with whatever means they have available. No law or statute will stop them, the best tool to defeat evil is a firearm in the hands of a law-abiding citizen. The worst school-related mass murderer in United States history was Andrew Kehoe. Kehoe killed 44 people at the Bath Consolidated School in Bath Township, Michigan. He committed his atrocity on May 18. The year was 1927. His weapon.....multiple caches of dynamite that he had hidden in the school over the course of many months. Evil is out there folks, and no governmental regulation is going to make it go away. In stark contrast to the mass shooting of corporately disarmed moviegoers stands the case of Samuel Williams. A week ago, two young men walked into an Ocala, FL internet cafe with felonious intent. They were armed, one with a gun and the other with a bat. They figured a bunch of internet cafe types would be easy pickings, what they didn't count on was 71 year old Samuel Williams. This is obviously a very different scenario than what happened in Aurora. James Holmes was much more heavily armed, and a well-lit internet cafe is much easier to defend than a darkened theater. Still, I can't help but wonder what James Holmes's response to armed resistance would have been. Even with all his planning, his body armor, his weaponry, at his core I expect he is no different than the spineless thugs in this video. Would lives have been saved if Samuel Williams had been sitting in the front row of that movie theater? Maybe, maybe not. Thanks to misguided corporate anti-gun policies, we will never know. In the wake of the Colorado theater shooting yesterday, there has been much analysis of motive, opportunity, pyschological make-up of the shooter, etc. I will leave such topics to those more knowledgeable about them than I. I'd like to talk about the Second Amendment, the value of concealed carry, and our inalienable right to self-defense. The legal carry of concealed firearms is prohibited in Theater 9, as it is in all theaters operated by Cinemark. It is known as a "gun-free zone". I prefer the term "target-rich environment". Cinemark has the absolute right to have this policy as a private business, but I believe that it may have cost some patrons their lives early Friday morning. 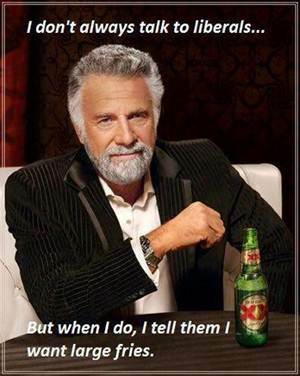 There has been much discussion on a concealed carry forum that I frequent about this issue. Some very knowledgeable and experienced folks there believe that even if 1 or more people in that theater had been legally carrying a firearm, stopping the shooter would have been a monumental task. I agree. His body armor, the darkness, smoke, and resulting chaos all combined to make for a very difficult defense scenario. There was however, a short period of time when the shooter first entered the theater that most of the patrons believed it to be some sort of prank. An armed and alert citizen with good situational awareness had the chance to confront the shooter and possibly avert disaster. Criminals are cowards, and James Holmes** is no exception. As meticulous as he apparently was in planning his crime, there's a reason he didn't go to an Aurora gun shop to commit multiple murder. As with all cowards, he took the path of least resistance, choosing a venue packed with people unable to defend themselves. I believe that had an armed citizen returned fire on Mr. Holmes, his resolve would have evaporated like a drop of water in the Kansas City sun. Lives would have been saved. Is it a sure thing that an armed citizen could have stopped the violence? Of course not. Maybe the chances would have been small, 10%, 20%, I don't know. What I do know is that a theater full of unarmed people had 0% chance of protecting themselves and their loved ones. 12 dead and 58 wounded was the result. Remember, reports indicate that law enforcement arrived on the scene within 60-90 seconds. They performed brilliantly, with courage and alacrity. And still 12 people died. If you are confronted with a violent criminal in your neighborhood today, do you think the police will arrive in 60 seconds? If you do, I hope you have your affairs in order. 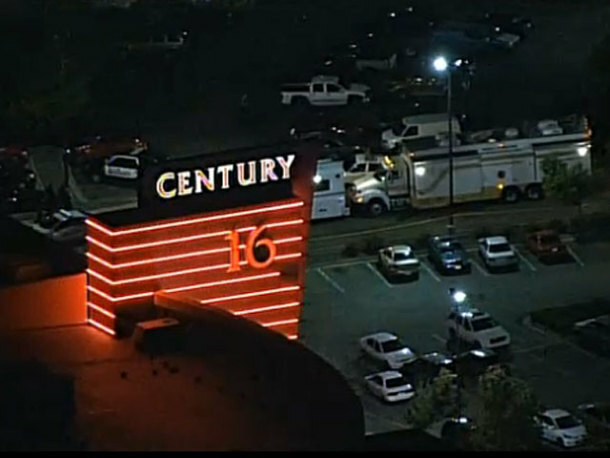 As most of our U.S. readers probably know by now, a gunman opened fire in an Aurora, CO movie theater last night during the premiere of The Dark Knight Rises. At this writing, the death toll stands at 12, with dozens more injured. President Obama has said he is "shocked and saddened" by the events in Aurora, and that politics can wait for another day, today is a day for "prayer and reflection". He is absolutely right. This latest mass shooting may have significant political and policy ramifications, and SACSTW will follow those very closely. Today however, we ask our readers to join us in praying for the victims of this crime, their families, and the entire Aurora community. We applaud the quick work of law enforcement that resulted in the shooter's capture, and the response of the emergency medical responders and trauma physicians that no doubt kept the death toll from climbing even higher. 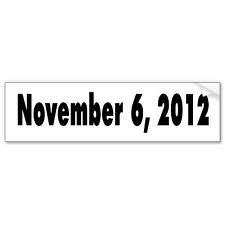 Please keep all those involved in your thoughts today. Here is video of Senator Rubio's appearance on Fox and Friends this morning. He really sums everything up when he says Obama "doesn't believe in the American free enterprise system". This Time, He Has Gone Too Far! Now you have gone too far. For you to demean and belittle the hard work and effort it takes to run a successful business is unforgivable. When you said "somebody else made that happen", we all know that you meant "government made that happen". In your twisted view of America, government represents the highest rung on the ladder of human achievement. Individual resourcefulness, ingenuity, vision, and commitment mean nothing to you. Here is the truth. Government is not what enables American citizens to maximize their potential and productivity. It is what hampers us the most. Government (particularly under your administration) encourages sloth, dependency, and lax moral standards. Government exists ONLY because of the immense productivity of American private business. You know all those roads, bridges, and schools you crowed about allowing American businesses to prosper? They were all paid for by confiscation of the fruits of our labors under the threat of imprisonment! In this, the greatest nation in the history of our planet, government exists ONLY with the consent of the governed. You sir, no longer have my consent. If you were a man of honor and integrity, you would immediately apologize for your comments, and beg forgiveness from we the people. Alas, if you were a man of honor and integrity, you never would have made those comments in the first place. For years now, I have heard conservatives describe you as "a good man, who just favors policies and ideas that are wrong for the country". Hopefully your recent words will make the light bulb go off for these folks. You and I both know that you are an evil man. An evil man who hates the individual freedoms and responsibilities that Americans hold dear. 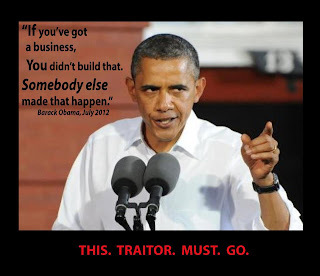 An evil man who wants to "fundamentally transform America". You said so yourself. The last chance for we the people to remove the scourge of your administration from our lives within the peaceful framework of our representative republic comes in 112 days. I plan on doing everything I can to make that happen. When last we saw disgraced Democrat and former Congressman Anthony Weiner, he was taking snapshots of Little Tony and firing them around cyberspace like an oversexed teenager. At least he owned up to it like a man, albeit after a week or two of baldfaced lying about his transgressions. Now, after being left hanging in the Obama job market for a year, Weiner has decided to get back into the only real career suitable for a man of his dubious character and unsavory integrity......politics. Never one to shrink from a challenge, Weiner is expected to make a run at replacing Michael Bloomberg as mayor of New York City. We know that Bloomberg has banned trans fats, large sodas, and other serious threats to our way of life during his time at the helm of NYC. The soul trembles at visions of what a Mayor Weiner might decide to jerk away from the good people of Gotham. Tighty whiteys, laptop computers, bicycle seats, and dozens of other popular products could be in peril! The good news is that Weiner has already asked the FDA for special dispensation to sell Viagra over the counter within the boundaries of NYC should he be elected. Like most political animals, for Weiner it all boils down to money. He is sitting on a 4.5 million dollar war chest of campaign funds that he will have to return to his donors if he doesn't run. Frankly I'm surprised we haven't seen pictures of the Little Mayor surrounded by all that cash floating around the internet yet. If the voters of NYC decide to yank Weiner out of political exile, they deserve what they will undoubtedly get. He'll be just the latest member of the "NYC Mayors Who Can't Measure Up To Giuliani" club. Folks, I tell ya, some days this blog just writes itself. Shall we begin? Saudi Arabia has announced they will be sending 2 female athletes to the Summer Olympics for the first time in the history of the Kingdom. Initially they were to compete in beach volleyball, but they kept tripping over their burkas when trying to serve the ball. 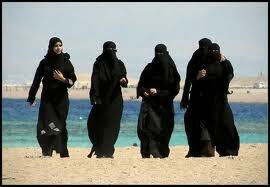 The Saudi Olympic Committee has decided the women will be entered in this year's newest Olympic sport.....stoning. Music fans in London's Hyde Park area were more than a little miffed when local authorities pulled the plug on a recent concert during the encore. The reason....the show had run longer than the 3 hours the city council had alotted to it. So, off with the sound. That's what nanny state governmental intrusion has in store for this country! Heck, it really wasn't that big of deal. I mean, it was only a concert by a couple of no-name hacks...... Bruce Springsteen and Sir Paul McCartney. The cozy little crowd of 76,000 was not amused. Why, she could be Mary Poppins! Charlie Sheen just can't get a break. All he wanted to do was hire Lucy Treadway to be a nanny for his kids, when the ex-wife Brooke Mueller nixed the idea. Why? The erstwhile governess was "too hot". Come on Brooke, one look at Lucy's picture and you can see she just exudes responsibility and integrity, and poses no risk to anyone's vows. In fact, I have contacted Lucy about caring for my two boys. Being 16 and 20 years old, they are quite enthusiastic about the prospects of Lucy joining the Crew's household! The mission of the Voter Participation Center is to register qualified voters- NOT (emphasis hers) dogs and cats. Pets cannot submit voter registration applications and they cannot vote- which seems to be news to some people, given all the attention some small number of pets receiving a voter registration application has received. The story isn't that dogs vote- something that cannot happen- it's about the people who cannot. Hey look, this is actually great news. Now we can put an end to the controversy over voter ID legislation, and everybody just use your rabies tag! Make sure you don't miss any of the fun here at SACSTW......like us on Facebook and follow us on Twitter! NAACP To Members- You Can't Handle The Truth! Geez, who knew that the NAACP convention was so much fun? I may just have to take a week off and cover it in person next year! After all, what could be more entertaining than watching tyrannical black statists like Emanuel Cleaver and Hilary Shelton demean and deride the black electorate? In fine Colonel Jessup fashion, Cleaver, Shelton, and others have in essence said that NAACP members are too dim-witted to be treated with respect and honesty by Mitt Romney. When Romney addressed the NAACP convention (something our black President hasn't done since 2009) this week, he delivered the same campaign speech he does at virtually every other campaign stop. He did so without regard to his audience's color or political leanings. In other words, he didn't treat the NAACP audience any differently than when he spoke at the latest WHAMO conference. He treated the NAACP with honesty and respect by laying out his plans should he be elected President, including repealing Obamacare. That didn't go over well with Cleaver and Shelton (NAACP Washington Bureau Director and Senior Vice-President). Because Romney didn't "speak to his audience", the NAACP bigwigs have accused him of racism and worse. Sorry Hilary, but"speaking to your audience" is all well and good if you are doing a career day at the local elementary school, but if a presidential candidate does it to an audience of adults it is called pandering. During his speech, Romney stated his desire to overturn Obamacare, help bring down the 14.4 % unemployment rate among blacks, and improve education for all Americans. "Alright you lazy shiftless homeboys, time for you to put the crack pipe down, stop banging every sister in sight, get off the couch and get a job"
Even more despicable, some (including the ever lucid Nancy Pelosi) have suggested that Romney intentionally elicited the boos from the NAACP in order to rile up the racist crackers that are the conservative electorate. Last night, Bill O'Reilly gave Hilary Shelton the chance to distance the NAACP from such bizarre accusations, but he demurred. The subsequent interview was Bill O'Reilly at his finest, and a truly frightening look into the mind of the progressive black establishment. Rep. Cleaver- Criticizing Obamacare is racism! My old buddy (and congressman) Emanuel Cleaver is at it again. His comments after Mitt Romney's appearance at this week's NAACP convention would suggest that the good Reverend believes any criticism of Barack Obama is racism, particularly when said in front of a group such as the NAACP. Yes, Romney was booed when he promised to repeal Obamacare. Hey, I'm sure that didn't come as any great surprise to the GOP nominee. What many mainstream media outlets aren't telling you is that the NAACP cheered Romney when he talked about the importance of issues like traditional marriage, jobs, and family. Yep, it's true. I'm back from vacation with a few brand new musings for ya! In his latest attempt to treat all Americans equally and avoid any semblance of class warfare, President Obama today will propose raising income taxes on everyone who makes more than 250K a year. After all, the "rich" need to pay their fair share. So.....we once again arrive at the great unanswered question of our time.....Exactly what percentage of their income is "their fare share"? So far, no one in Dear Leader's regime has let slip the obvious answer (100%), but I bet if we get a couple snorts into Joe Biden he will spill the beans. Sandra Fluke and the rest of her liberal cronies who accused conservatives of waging "war" on women might want to go here and watch this video. Nice little piece from CNN about an Afghani woman being publicly executed amidst a cheering crowd of Taliban men. The religion of peace claims another victim. Lynaa Dobbins celebrated her son's birthday party at a Pennsylvania Chuck E. Cheese in real style over the weekend. She attacked the new girlfriend of her son's father with a knife and a brick. Some bystanders may have reported hearing her scream "the giant rat, can't anyone else see the giant rat?". The woman who was cut with the knife was actually thankful for the incident, as it let her "get out of there without having to eat any pizza". Finally, there is the really big news of the weekend.....Barney Frank got married! 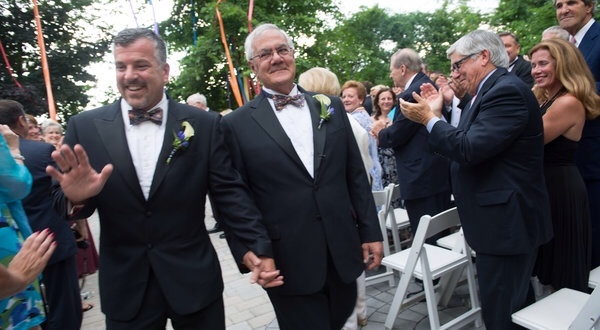 In a lovely ceremony officiated by Massachusetts Governor Deval Patrick, Rep. Frank married his long-time sweetie James Ready. I went through all my mail several times, but couldn't find my invitation. I was out of town anyway, but I wish the mailman hadn't lost it as it would have made a lovely keepsake. Here's to a lifetime of happiness for the lovely couple, not that there's anything wrong with that. I give it 16 months on the outside. Could this be the oft-mentioned secret Ozark command center of SACSTW? 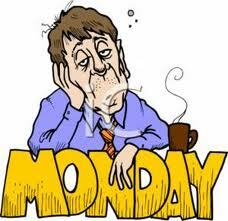 What with all the Constitution-shredding and freedom-denying going around the last few days, Sahib and I need a break. 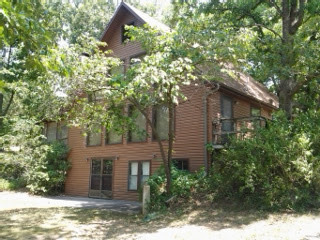 So......I am retreating to the southern command headquarters of SACSTW, hidden deep in the Ozark mountains. Sahib on the other hand, is going to have his hands full over the next few days selling and distributing explosive devices. The bottom line is that new content here at SACSTW will be hard to come by this week, we hope our devoted readers across the globe will understand. 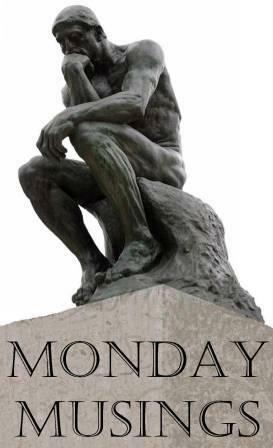 We figure it to be a slow news week anyway, unless Chief Justice Roberts happens to check in to a clinic to treat the syphilis that is evidently ravaging his mind. Keep checking back though, I hope to post a few pictures showing what life is like around the SACSTW Southern Headquarters. 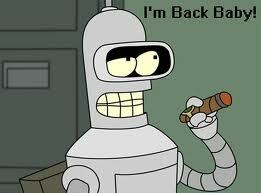 Your regularly scheduled SACSTW programming will resume in a few days. See ya then!